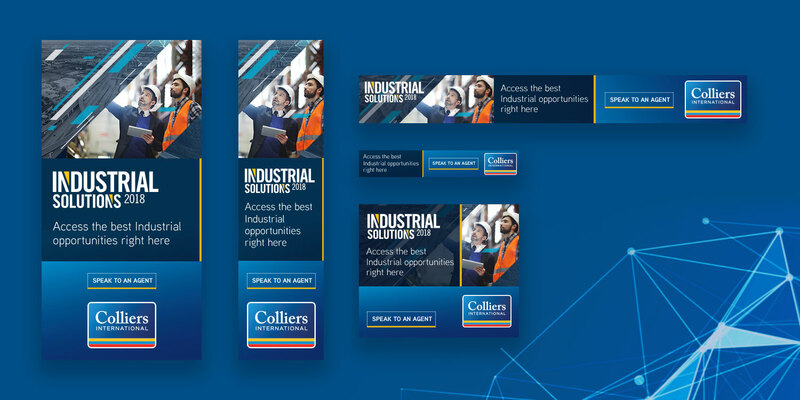 Adcorp developed a portfolio campaign that made it possible for the Industrial team at Colliers to advertise and showcase Industrial stock for sale or lease on behalf of their clients. 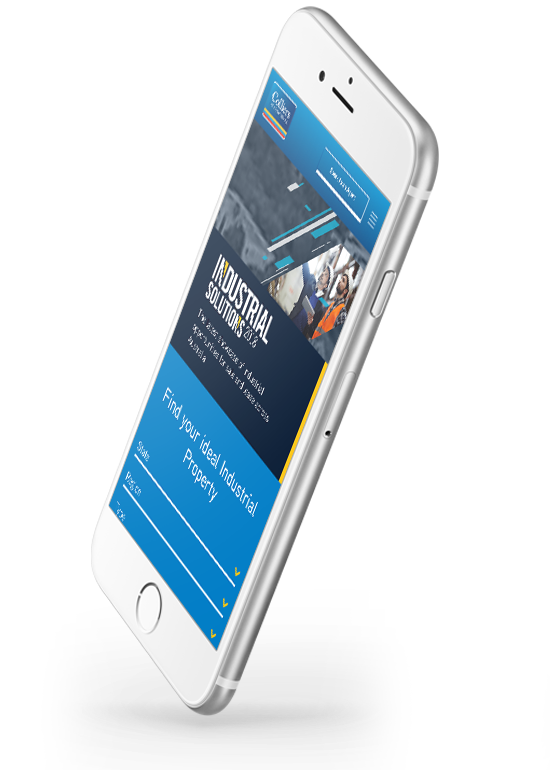 The key objective for this portfolio was to position the campaign microsite as the #1 source of Industrial property information and listings with the purpose of generating qualified leads and enquiries. 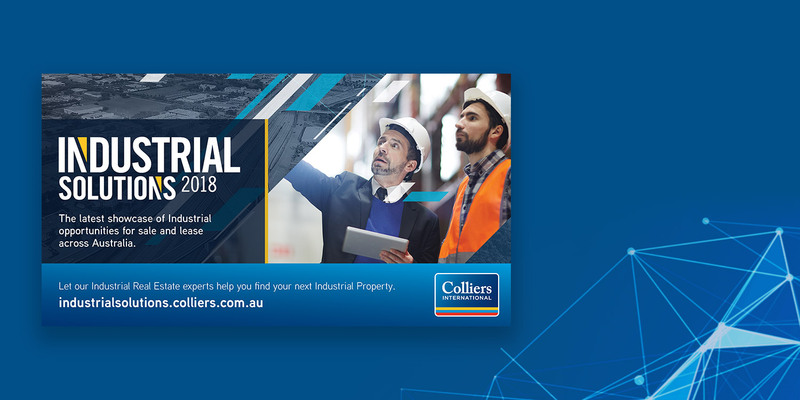 Adcorp produced a microsite, digital display banners, paid media marketing, print advertising, video and email communication. 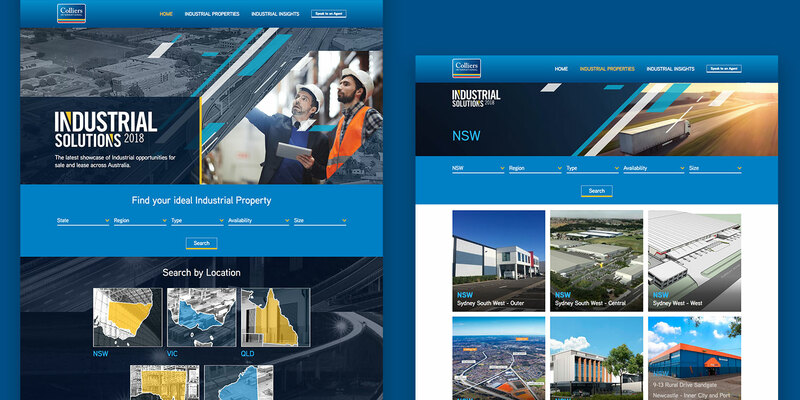 The design execution of the microsite was heavily aligned with the Colliers International brand and included visual language and professional, robust and industrial imagery. Quarter page print insertion in NSW AFR – published on 2 consecutive weeks.